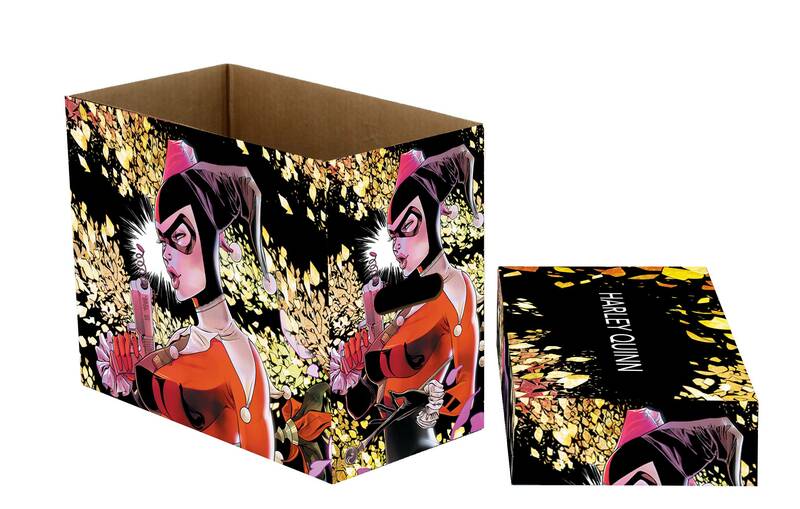 Store your comic books in style with NECA's line of printed short boxes, featuring licensed artwork of Harley Quinn from DC Comics! They're stackable, simple to assemble and made from sturdy double­walled corrugated material with two­layer handles and bottom. 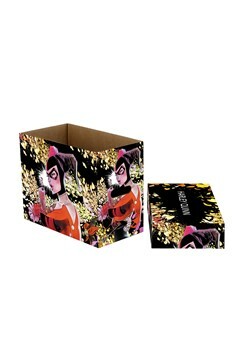 Each comic book storage box holds approximately 150­175 bagged and boarded comics. Includes lid. Exterior dimensions (W x H x D): 8 3/4' x 11 1/2' x 15 3/8'; Interior dimensions: (W x H x D): 7 1/2' x 11' x 14'..